The modern afterschool movement was built around the concept of "all": all youth deserve expanded learning opportunities; all youth have common needs for developmental support and opportunities. This notion of "all" was an improvement over the idea of "some": afterschool programs designed to serve "those kids" or "at-risk kids". 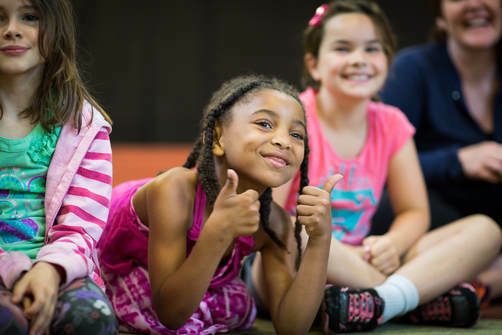 While afterschool programs are designed to serve all youth, we have learned over the years that the social context that youth experience are very important to acknowledge and, in some cases, design specific activities. We are seeing programs designed for girls, programs for boys, as well as ones for youth of color, undocumented youth, and LGBTQ youth. 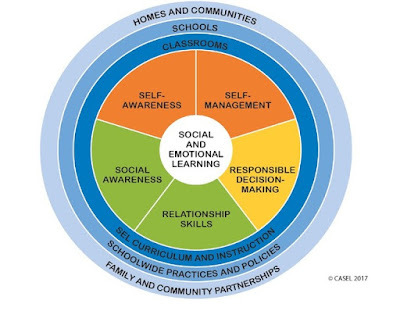 We think this is essential to our efforts to promote critical social emotional skills. 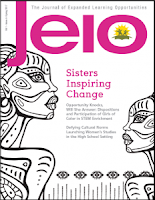 The Journal of Expanded Learning Opportunities (JELO) dedicated their latest edition to serving the needs of women and girls of color in expanded learning, influenced by the Sisters Inspiring Change project. We encourage our readers to check this out. Below is an excerpt from an interview we did with Lynn Johnson, Co-Founder and CEO of Spotlight: Girls, an afterschool and summer program that educates, inspires and activates girls to take center stage. They promote the skills to step into the light and become the leaders we’ve all been waiting for. Gender-based programs are so important because we are not often looking at where inequity comes in, in terms of gender in our schools and our communities. I think the most important thing in serving girls in afterschool is to really focus on giving girls their own space in afterschool. I get worried when we focus too much on girls in STEM and not on their emotional experience and the skills they need to succeed in any field. "How do I, as a girl, in a safe space, understand who I am, understand why I might be feeling resistant to new experiences, why I might be resistant to certain fields of learning, and understand how to move through those areas of resistance, how to say yes to new things." Afterschool gives you that space, that time. We are trying to prepare girls for success in their adulthood. That's not just about getting A's on your report card. It's about having the courage to overcome all challenges, and our girls don't necessarily have those skills. Another important way that afterschool is such an important environment for girls' learning is in the research we have around growth mindset. One thing that we know about girls is that they really suffer from perfectionism. We see this across the board...across race, across socioeconomic groups; that girls are often stuck in this need to do it right, to not look stupid, to not make a mistake. We see it all the time. It holds girls back from really, as we say in our program, “taking center stage" and trying something new. So this research around growth mindset, around this idea that we don't come to a situation with a particular talent, per se, that we get to learn and grow, and we get to go, "Oh, I'm getting there. I'm getting better at something. I get to try something, make a mistake, and try it again." This is really, really important for girls. 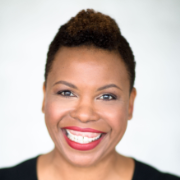 Lynn Johnson, Co-Founder and CEO of Spotlight: Girls, is a visionary social entrepreneur, speaker and girl advocate. She serves on the Alameda County Commission on the Status of Women and the board of the directors of the How Kids Learn Foundation. Learn more about how to bring Go Girls! afterschool programming here. Lynn will also serve as the MC for the How Kids Learn VII Conference.